The Museum of SuperNatural History™: Is Sasquatch-Spotting The New Whale-Watching? With the summer heat having moved from “unbearable” to “reprehensible,” we here at the MuSuNaHi can’t wait to jet off to Scotland at the end of August and cool off in the shallow end of Loch Ness, with the intent of catching some rays, as well as a glimpse of that lake’s legendary local. 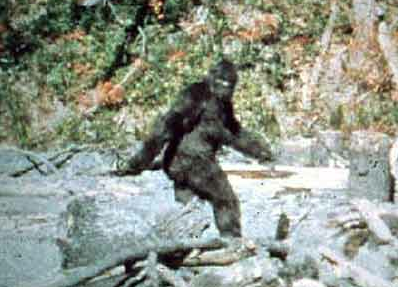 Of course, it was most likely Roger Patterson’s eponymous 1967 “Patterson Film” - the most famous piece of photographic evidence pointing to the existence of Big Foot - that popularized the idea of a packing up and heading off on a paranormal vacation with some friends. So it comes as no surprise to us that Forbes Traveler’s Judy McGuire has churned out an admirable article titled “Where The Monsters Are” - that lists some of the world’s most popular hot spots one might consider for a cryptozoological encounter.